This computer was originally built in January 2015 with a small budget, and I don't have a job so upgrades do not come often. Anyways, I love this computer; it's a constant work in progress. Next upgrades will probably be a graphics card (750TI?) and a new monitor (I need 1080p and a larger screen). -I believe the i3 is underrated in its speed and power. This thing is blazing fast, especially for the low price-tag, and I haven't encountered any lag issues so far. Choosing this over a Pentium was a debate in my mind, but I'm so glad I picked it. I won't have to upgrade for a while, and when I do, I have a good upgrade path. 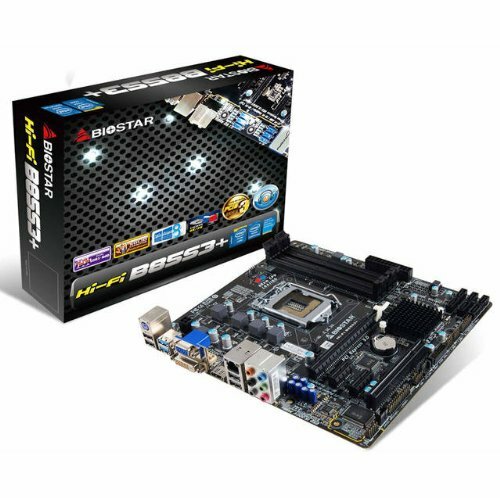 -The Biostar board is a bang for your buck. It's not of the highest quality, but it was $58, and I got a solid board with 4 RAM slots, and some other nice features. With these two items purchased I was out of money, yet still needed an OS. Linux was the obvious option, and it's perfect since I'm not a heavy gamer. I decided to go with Ubuntu, and so far it's been great! Anyways, the parts came in, I assembled the computer, and it all worked fine. The Ubuntu installation took less than 15 minutes, and went surprisingly smoothly. I was so excited with my new computer, and everything went fine for a while. The next month, the old Gateway case was showing its age, as parts started chipping off, the front audio port broke, and it just plain looked ugly. 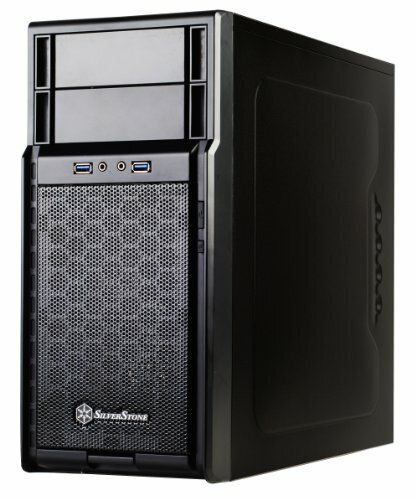 With a little more money stockpiled, I was able to afford the Silverstone PS08B Case. Buying this I don't regret in the slightest. It's a decent looking case, and I bought it for a mere $35. Installing my components in it went smoothly. Fast forward a month and a half. It's now the middle of March, and my power supply dies. Go figure, it was a crappy PSU from a prebuilt. I should have listened to the internet people that urged me to get a new power supply sooner. I didn't have enough money at the time to buy a new one, so I had to wait it out. Come early April, the best cheap PSU on the market was the CX430M, and the semi-modular features are great! It arrives a week or so later. I installed it in the computer, cable everything up, and spent an hour or more cable managing it. Unfortunately for me, I didn't check to see if it booted first. Once my computer was all pretty and airflow was destined to be great, I attempted powering on the computer. Let's just say that didn't go too well. After countless hours of hopeless troubleshooting, and days of despair, I finally accepted the fact that I just couldn't get my computer to work at the time-being. Thanks to the wonderful people of PMC, PCPartPicker, and Tom's Hardware, I was able to narrow the problem down to being my motherboard. I filed for an RMA request with Biostar in early May, but it took them weeks to process it, and finally in late May they accepted it, and I was able to send the faulty board in. Thanks to their (not at all) wonderful customer service and urgency, I received the new motherboard just this week. I reassembled the computer from scratch, but when I attempted to power on, nothing happened. My own troubleshooting failed, so I reached out to the internet. Shout out to killertoad for helping me figure out that the power button was the issue. I had to jump the start pins with a screwdriver, and the computer started up. My solution was moving the RESET SW cable to the start pins, so I can start the PC with the reset button. It works perfectly with this solution. OS reinstall went perfectly and now my computer is up and running and better than ever. I then picked up the cheapest 4GB stick of RAM you could buy at the time ($28) so my computer has 8GB of RAM. July 2015 hit, and Windows 10 came out. I knew I had to get my hands on it. I picked up a free Windows 7 key from a friend and installed in, then immediately upgraded to 10. The computer remained this way until March. 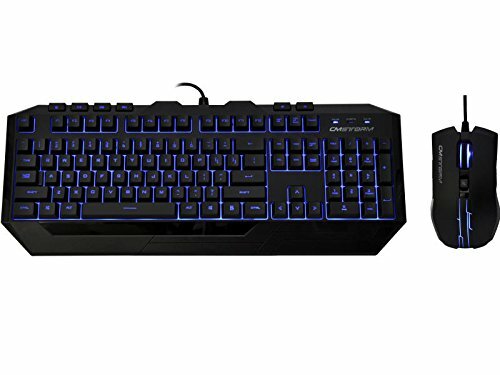 I bought a new keyboard and mouse (CM Storm Devastator II combo), new speakers (Logitech Z200), and an SSD. The computer's boot time decreased from ~45 seconds to ~9 seconds. This i3 is more than enough for everyday tasks like web browsing and doing schoolwork, and the built-in graphics can handle games like Minecraft, CSGO, and Rocket League just fine. It's not the greatest of boards by any measure, but it was a good buy mostly due to the low cost, and the fact that it has 4 RAM slots. What's terrible, though, is Biostar's customer support. it took about a month and a half to complete the RMA process. Works flawlessly. Cheap 4GB stick of RAM. I don't use much hard drive space at all, and I'm really loving this 240GB SSD. Fast and cheap! Feels a bit flimsy, but runs great; I get boot times of ~8-10 seconds from BIOS to desktop. This is a really cheap case - you get what you pay for. There's not much room inside, and not many cable management options, so I have to tuck the cables in empty hard drive bays. No room behind the motherboard tray at all. Anyways. I think the case looks nice, and the airflow isn't terrible. 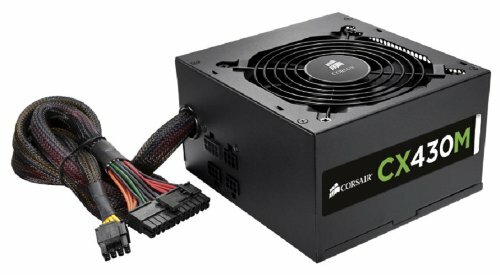 The CX430M is a good, cheap, semi-modular power supply with ample wattage for my computer, and it runs quietly. I have no complaints here. I finally upgraded from Ubuntu to Windows. I didn't pay a dime because I got a Windows key from a friend. Now I have support for all Steam games, MS Office, and more. Also, 10 is better than Windows 7 or 8.1, in my opinion. I actually recently bought the CM Storm Devastator II, which isn't on PCPP yet, but it's nearly identical to its predecessor. It feels like a mechanical keyboard and looks nice, with bright LEDs. I just upgraded from ancient Dell speakers to these, and the difference in sound quality is quite noticeable. 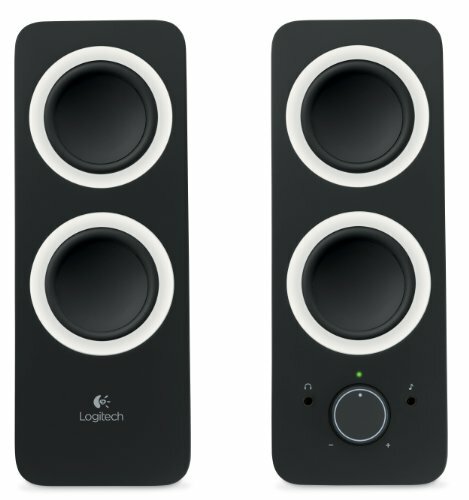 These speakers have rich, crisp sound; for $25, what more could you ask for? Could the power button have been the root cause of the first motherboard RMA? I don't think so. Back then, when I pressed the button, the computer went into the BIOS, but couldn't load an OS, and when I attempted to install one, the computer got green static and crashed. From that point on, the CPU fan only twitched on and off and so on. I think the issue with the power button and/or wire happened when I was not using the computer, because I had the case sitting around my desk for over a month, and it's definitely possible I knocked the case into something where it punctured the wire or something like that. Not sure exactly, but I'm pretty sure the motherboard died when the original PSU went out. That does sound like a separate issue, for sure. Well done buddy :-) good job for a start. I like the build. Nice to see another Linux based build here and there. Mine is actually running Arch Linux, so it took a few (read many) more hours to install, but it is tweakers paradise. And overall this seems like a very nice little budget build. I don't really like planning out builds with slightly lesser known components like Biostar and Silverstone, for the obvious reasons, but good job working with it. Thank you! I've heard nothing but good things about the 750TI, so hopefully everything goes smoothly with that whenever it may be. former 750ti owner here, that thing is amazing, it does so much for being such an inexpensive card. Nice little read there. I like your story. I'm yet to have built my own PC, and I just turned 15. Luckily I was very driven to work when I was a younger and saved up $1,500, which I used to buy myself a great computer off of eBay and only spend $500 bucks. Now I'm selling it to my lifelong friend so he can have the same joys with it that I had, and am building a new one, and my budget will be $1,500 as I have quite a bit more now. Love the build. If I may recommend an SSD, a great cheap one is the Kingston SSDNow V300 (which i currently use). 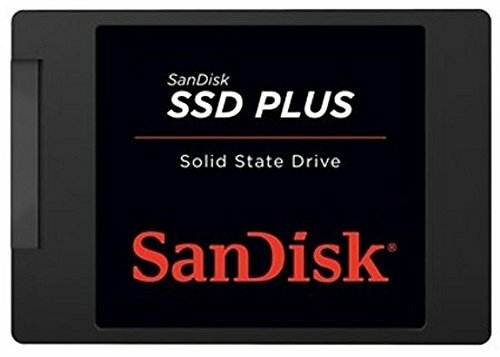 You can pick one up for around 50 bucks for 120gb. Thank you, and I wish the best of luck to you on your build! I wish I was that smart with money when I was a kid. Imagine the glorious gaming rig I could have! Enjoy your build. Let's hope you don't have any issues. Too bad about all the replacements having to be made due to failing parts. It sounds like it was good learning experience there at least. I gotta ask, why Ubuntu over some of the other distros? I know a lot of people don't like their Unity interface and usually end up going with something like Mint or similar. I'm also curious how your experience with the distro has been as since about version 9 (I believe it was), I would get errors with my soundcard on any computer I'd use upon a distro update because they switched from Alsa to pulseaudio. Surprisingly it only happens with Ubuntu and not Mint or Deepin. Thank you! I chose Ubuntu mostly because I already had the disk laying around, but I was debating between that and Zorin. I'd demoed LinuxMint before, and just didn't like it personally. Ubuntu looks and feels great for me, so I'm keeping it for a while. Yeah, I'm actually surprised Mint runs as slow as it does on my hardware. Deepin seems to fly pretty quick though. Gentoo was actually one of the most fun distros I had used, but after a while I was getting to the point of maintaining it more than actually using it. Its biggest advantage though was that literally almost any app ever written for linux is in their portage system. Great Story, also good decision using parts from your older system! Good build. At least I'm not the only one who calls the internet people internet people. And the internet people are really nice, aren't they? Thanks! And yeah, the failing parts back to back was very stressful, to say the least, but I'm glad everything's working now. Nice build, I myself started out with ubuntu when I first built mine. Think I was the same age as you. Are you running ubuntu 14 or 15? 14, because the disk was burned in January since that's when the PC was originally built, and I see no reason to upgrade right now. Nice to see another Linux build! I used to run Ubuntu myself (now I'm running Arch) and it's definitely a solid choice. So glad I didn't waste $100 on a copy of Windows. I don't really need to get it fixed because it's just a different button I have to press, and I never used the reset button in the first place. Thanks for the compliment on the build, mate! Yours looks great, too! And yeah, I'm currently looking towards a 120GB SSD and a 750TI when I get the money.